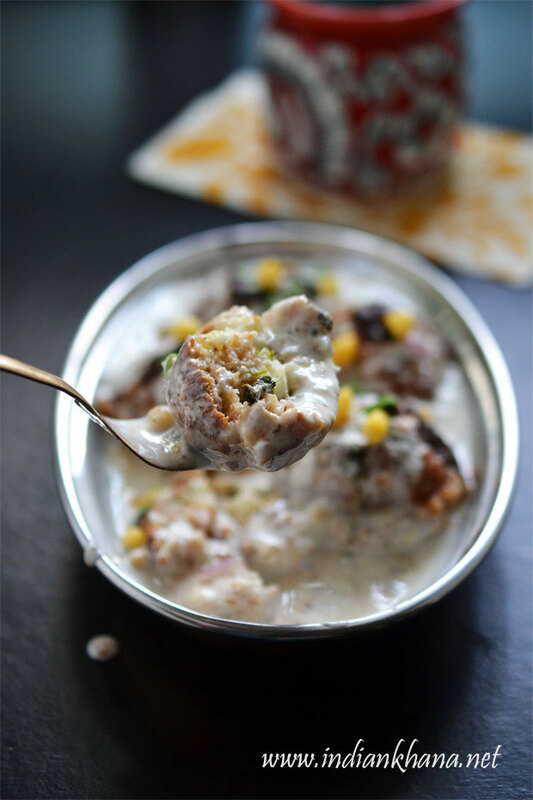 Holi is around the corner and if you have get-together at home or holi celebration to attend specially for potluck then try this instant bread dahi vada it taste yum also it's healthy and require minimal of effect what else to ask for right? 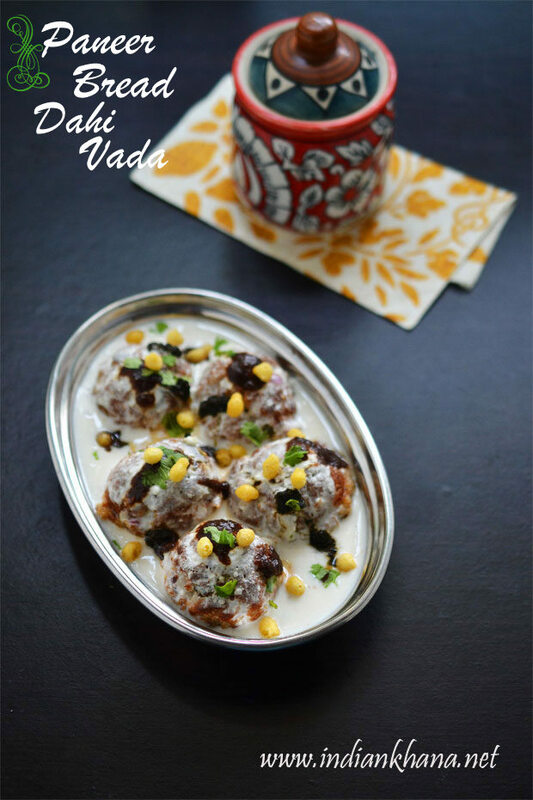 This recipe comes handy when we have left over bread and no one eating or if you have old bread you can use that too to make this vadas. I am really busy these days with office work and guests at home, the work is getting really hectic leaving me with almost no time to prepare a post with the photos I have too, forget about taking any new pictures! Back to this bread dahi bhalla, we can make normal bread dahi vada or even do stuffing like I have done here. 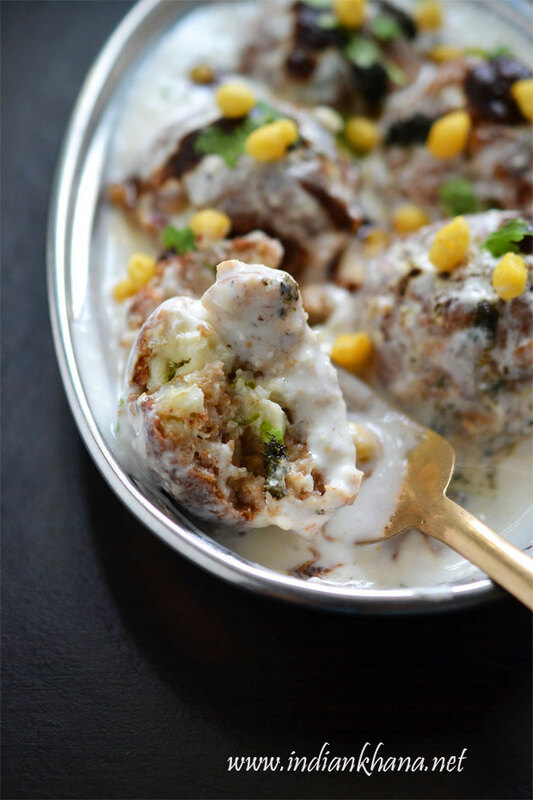 I used paneer, onion for filling if you wish you can skip onion to make it no onion no garlic bread dahi vada too or do this same without stuffing, the option is yours. 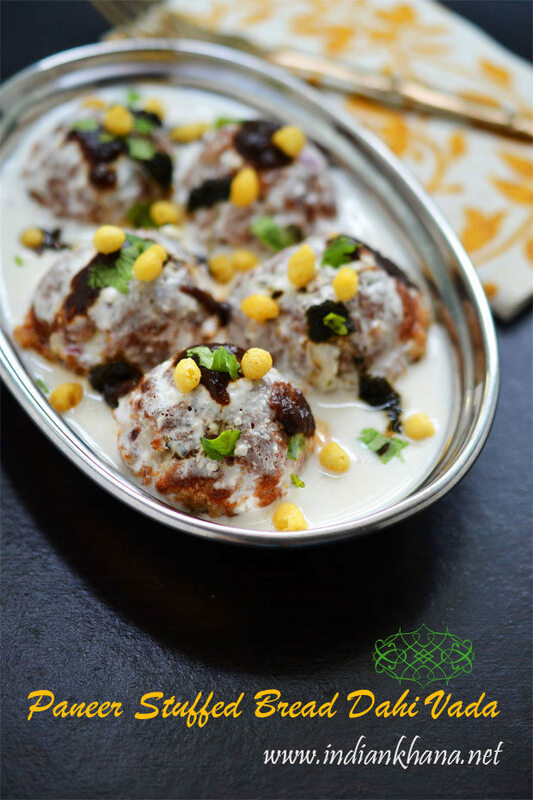 Try this and you will like it too, make sure to soak the vada with curd well but if you over soak it will break so soaking of 30mins to 1 hour is enough for this dahi vada, we do can serve without soaking too it works great too. You can also pan fry if you dont' have paniyaram pan or do shallow fry, deep fry if prefered. 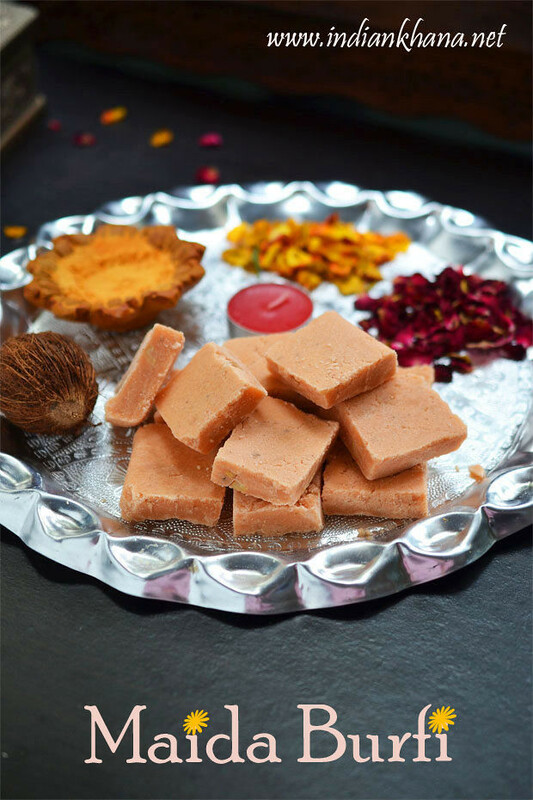 You can check other Holi Recipes. 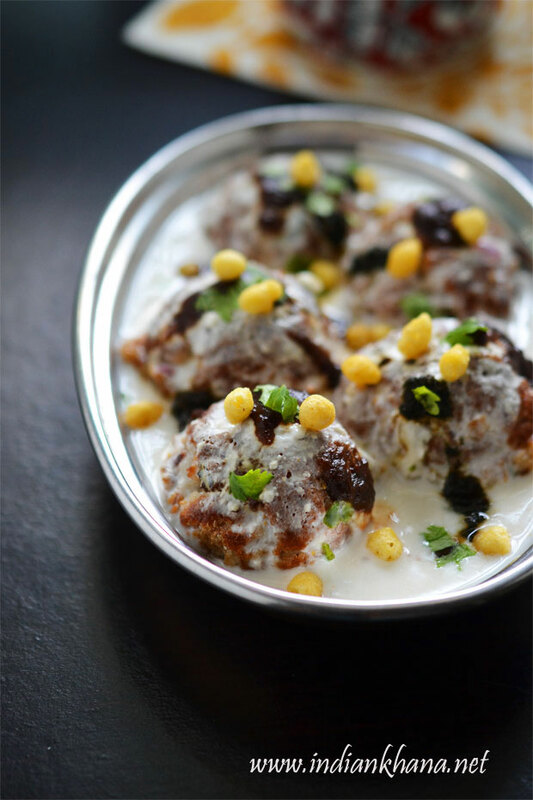 Popular snack dahi vada with bread and stuffed with paneer, spices. 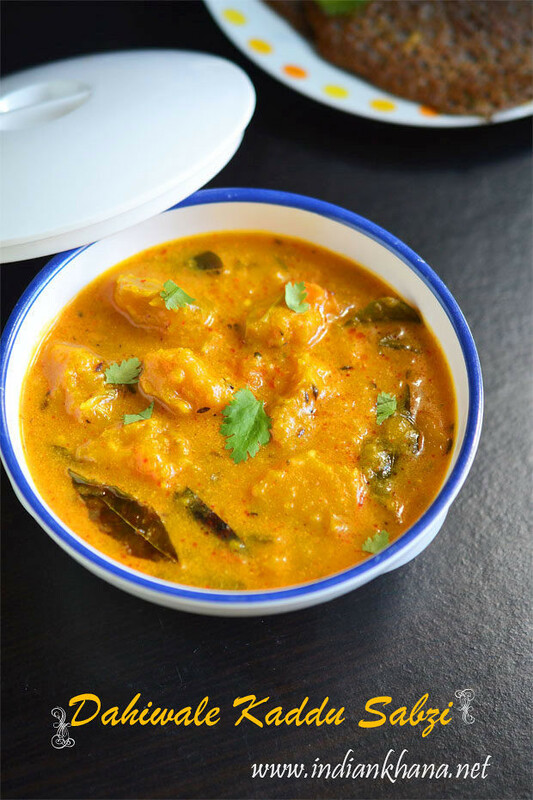 Peel and finely chop onion, green chili, coriander leaves. 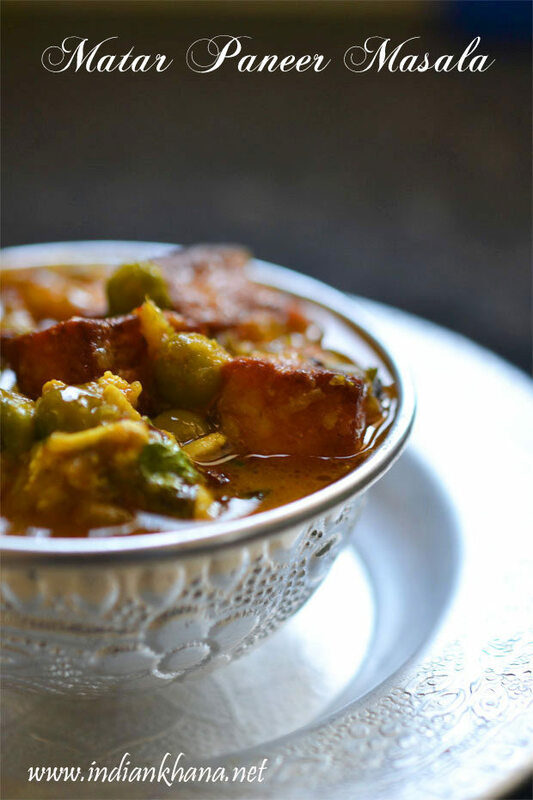 Mix grated paneer with onion, green chili, coriander leaves, broken cashewnuts, raisins, kala namak, jeera powder. Cut all the corner of bread and keep aside. In a wide bowl take some water and dip bread both sides. Immediately take out the bread pieces from water and squeeze well to remove all the water, while squeezing try to shape it in to round size. Place 1/2 tbsp of prepared paneer stuffing in center. 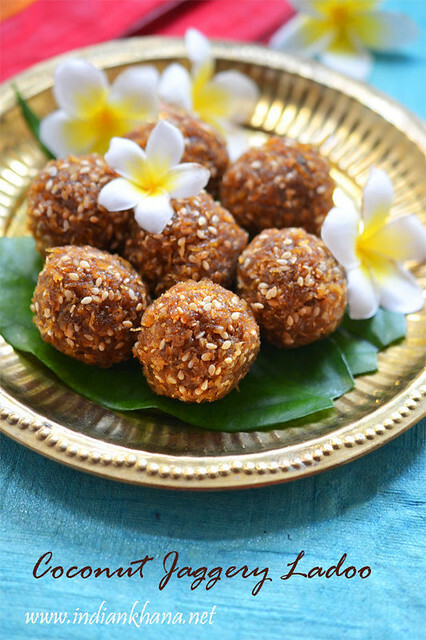 Bring all the edges together to seal the stuffing and form a ball like we do for ladoo, do same for rest. Heat a appam/paniyaram pan and drop few drops of oil in each impression. 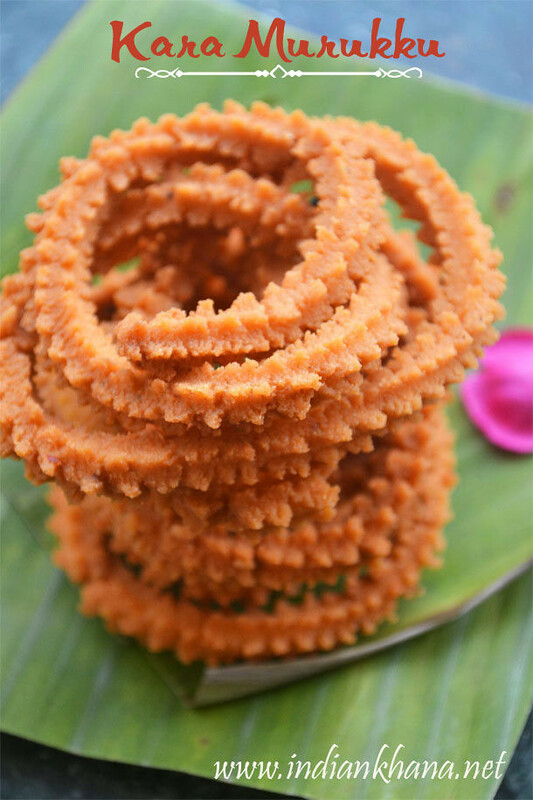 Place prepared bread vada and cook in slow flame for a 2 mins, drizzle few drops of oil on top and turn carefully and cook again until the vada becomes golden brown from all sides. Do the cookin only in slow flame. Beat curd well in a bowl add kala namak, jeera (cumin) powder, salt (add less as we already have kala namak) and mix well. 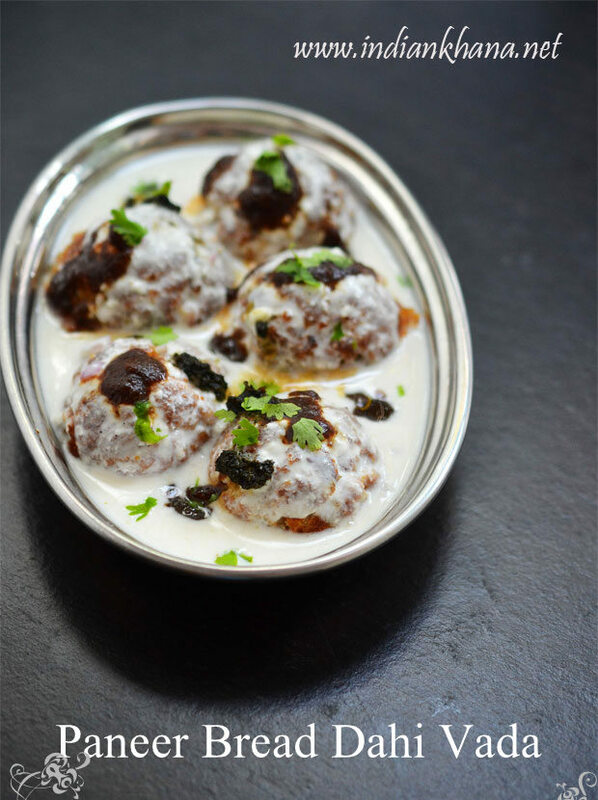 Place prepared bread vada in serving dish and pour the curd over. Garnish with sweet chutney, green chutney and coriander leaves. 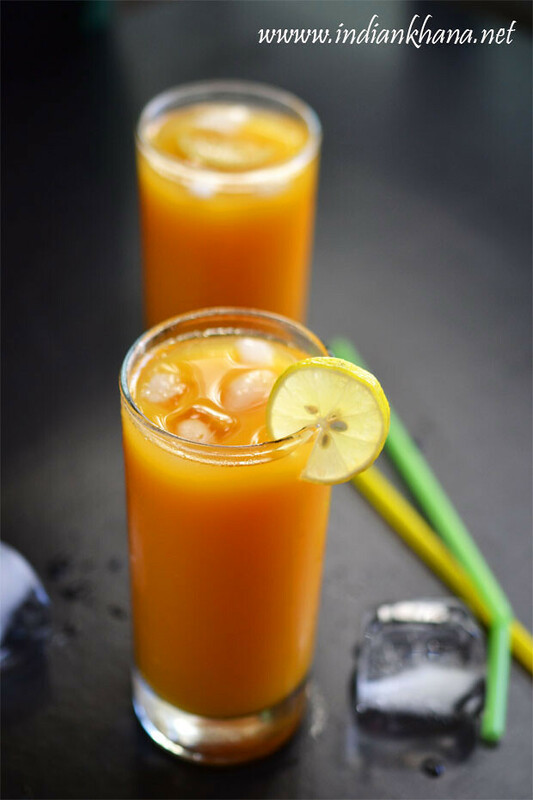 Keep in fridge for at least 10-15 mins before serving. 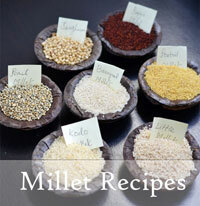 If needed add more curd on top., garnish with boondi or pompgrate seeds if you wish. 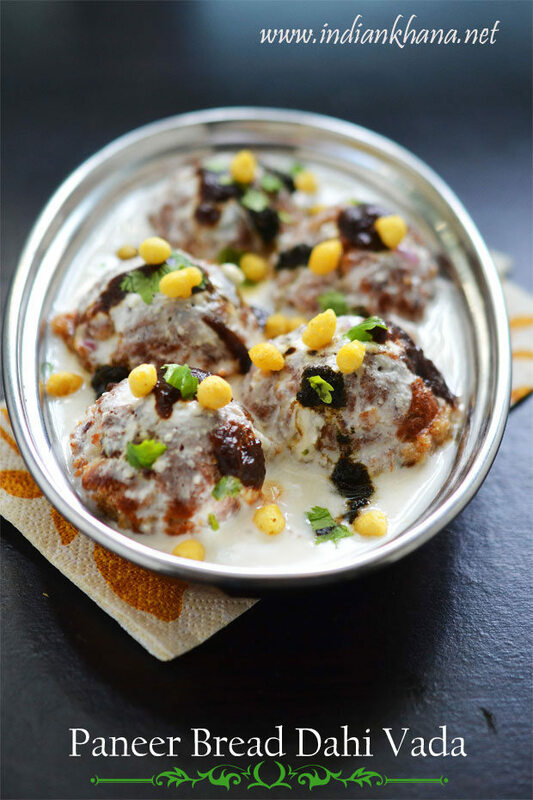 Serve chilled and enjoy the bread dahi vada. You pan fry the vada, make them in tikki shape if you don't have paniyaram pan. Or you can also shallow or deep fry. 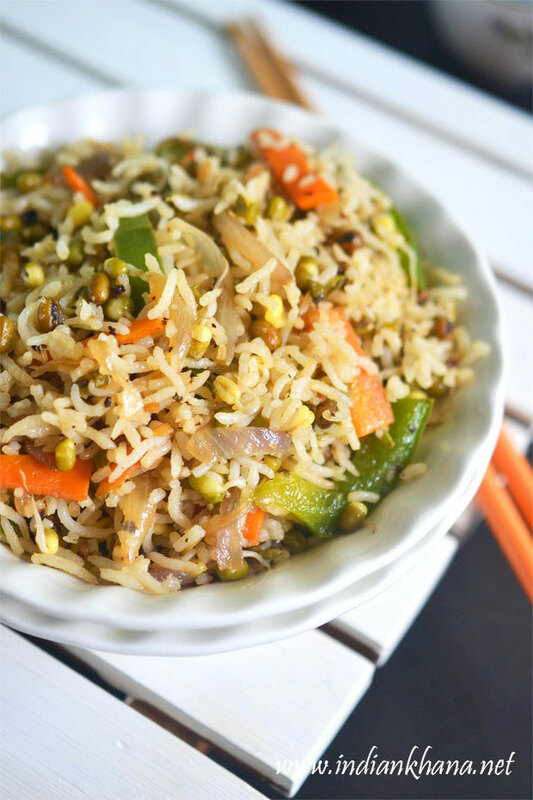 You can avoid onion in stuffing or make the vada without stuffing too. 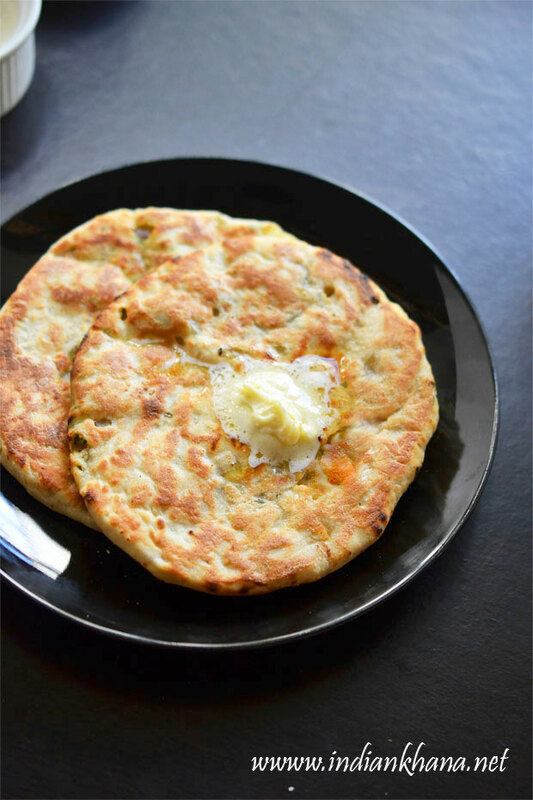 Delicious and quick paneer stuffed bread dahi bhalla.